The Toyota Prius was not just the first hybrid, for a long time it was without question the best hybrid. Nothing else even approached its 50-plus average MPG capability (not just highway MPGs) and nothing else had the blue chip Toyota rep. The 2018 Prius still has the rep.
It’s also got real competition. For the first time, there’s another hybrid – Hyundai’s Ioniq – that gets better mileage (almost 60 MPG), costs less – and comes with a longer-lived warranty. But it hasn’t got the blue chip rep . . . yet. Which gives the Prius some breathing room . . . for awhile. Like Elvis, the Prius needs no introduction. It’s Toyota’s perennially best-selling hybrid. And it’s still the best-selling hybrid, period. At least until word gets out about the Ioniq. Or Toyota ups the game of the Prius. Base price is $23,475 for the entry-level One trim; a top-of-the-line Four trim stickers for $30,565. All trims come with the same gas-electric powertrain; the trim differences are all . . . trim differences. There is also a plug-in version of the Prius – the Prius Prime. Plug-ins are better-described as part-time electric cars because they can be driven fairly far (about 30 miles) entirely on battery power and at normal road speeds. Regular hybrids use their batteries (and electric motors) to supplement the gas-burning engine but can’t driven very far or very fast on just battery power. The Prius Prime will be reviewed separately. Primary cross shop – and triple threat – is the new Hyundai Ioniq, which also comes as both a regular hybrid and a plug-in hybrid. It stickers for $22,200 to start, topping out at $27,550. It also tops out at 59 MPG on the highway – a very impressive nine MPGs better than the Toyota’s 50 MPG on the highway. 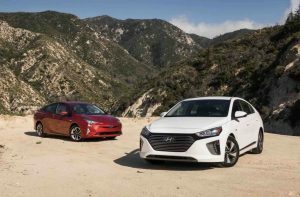 The Ioniq also beats the Toyota’s 54 MPG city rating with a best-in-class 57 MPG city MPG rating. They are both dedicated hybrids. This means they were designed from the wheels up to be hybrids, not converted into hybrids from pre-existing non-hybrid cars. 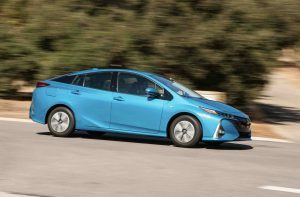 The Prius was the first such hybrid and it’s focused hybridness was – and still is – a big part of the reason for the car’s extraordinary fuel efficiency. Everything about the Prius – then and now – has been designed to maximize the MPGs. This includes the room carved out for the batteries – which can be larger and so more powerful. Converted hybrids have less space for batteries – and so have smaller, less powerful ones as well as smaller trunks, because that’s where the batteries are usually crammed. With the exception of a few low-production exceptions such as the two-seater Honda Insight of the early 2000s, no one else offered a dedicated hybrid like the Prius for more than decade after the original model’s introduction way back in 1998. 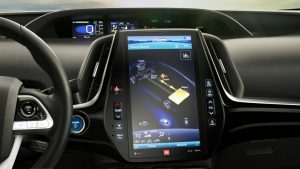 The main change for 2018 is that the formerly standard and Tesla-like 11.6 inch LCD touchscreen becomes optional. Interestingly, Toyota has held the line on prices. The 2018 Prius stickers for exactly the same $23,475 to start that the 2017 Prius stickered for. This probably reflects the increasing ferocity of the competition, especially from upstart Hyundai. 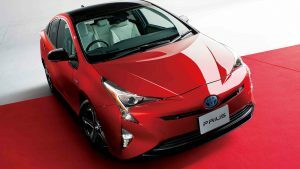 The current (2018) Prius is also basically the same car as the 2016 Prius – which was the year Toyota gave the car a complete makeover. That means 2019 is likely to see many changes – many of them probably prompted by the Hyundai Ioniq, which made its debut in 2017, just after the 2016 Prius launched. This just-over-the-horizon 2019 Prius may be more appealing – and lower priced – than the current Prius and the Hyundai Ioniq. Which might be worth waiting for, on the one hand. On the other hand – and probably for the first time in the history of the Prius – you may be able to buy a 2018 Prius for less than sticker. Low price makes buying this hybrid make sense given low price of gas. Hatchback layout gives more than twice the cargo-capacity of the typical compact-sized sedan. Cargo capacity and backseat legroom are down vs. previous-generation Prius – and less than in the Hyundai Ioniq. The Ioniq’s lower price makes it make even more sense given the low price of gas. 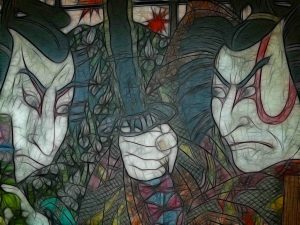 Angry Samurai looks may be offputting to some. 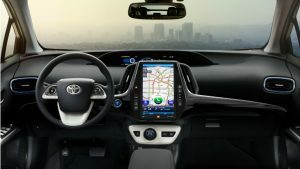 As it always has, the Prius is powered by both a gas-burning internal combustion engine – a 1.8 liter four cylinder engine – and an electric motor/battery pack, which supplements the power of the IC engine when maximum acceleration is needed and takes over for the IC engine when not much power is needed – as when the Prius is coasting – or not moving at all – as when it’s stuck in traffic. 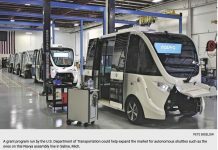 This is how it uses less gas than conventional cars, which need the gas engine running all the time – or at least, in order to get moving and stay moving. The gas engine produces 95 horsepower on its own and when supplemented by the 53 kilowatt-hour electric motor (and 600V Nickel Metal Hydride battery pack) the total combined output is 121 horsepower. This is enough to get the Prius to 60 MPH in about 10.5 seconds, which is about two seconds behind the pace of most non-hybrid economy cars. 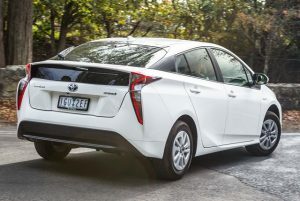 But most hybrid economy cars aren’t nearly as economical as the Prius – which is capable of 54 MPG in city driving (where hybrids are most efficient, because they can rely most on the batteries and motors for motivation) and 50 MPG on he highway. There isn’t a non-hybrid economy car that even comes close to this fuel-sippyness. But there is another hybrid that does better. Hyundai’s Ioniq sets a new bar: 57 MPG in the city and 59 on the highway. There’s one more important difference between these two combatants. The Prius has a continuously variable (CVT) automatic transmission while the Ioniq uses a six-speed automated manual transmission. And what’s interesting about that is that the CVT transmission – which doesn’t shift up or down but continuously varies the drive ratio – in order to keep the engine always operating at precisely the optimum RPM for any given road speed/load – is generally considered the most efficient type of transmission – whereas automated manuals are quick-shifting transmissions, which is why they’re more commonly found in high-performance and sporty cars. Yet the Ioniq manages to use significantly less gas than the Prius. 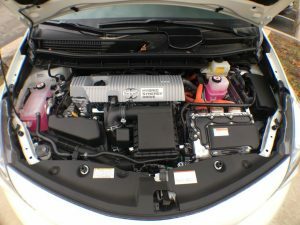 With its smaller (1.6 liter) but more powerful gas engine/electric motor/battery pack (the combo produces 139 hp) the hustling Hyundai to 60 in less than 9 seconds, about the same as most non-hybrid economy compacts. The Prius is slow – but that’s not the problem. The Prius has always been slow – relative to other economy cars. But it made up for that by being much more economical than those economy cars. People who bought a Prius even reveled in its lack of quickness, which became almost a badge of honor among the faithful. They were sacrificing for the sake of MPGs – and making a point about what it took to crest 50 MPGs. Then along came the Ioniq. 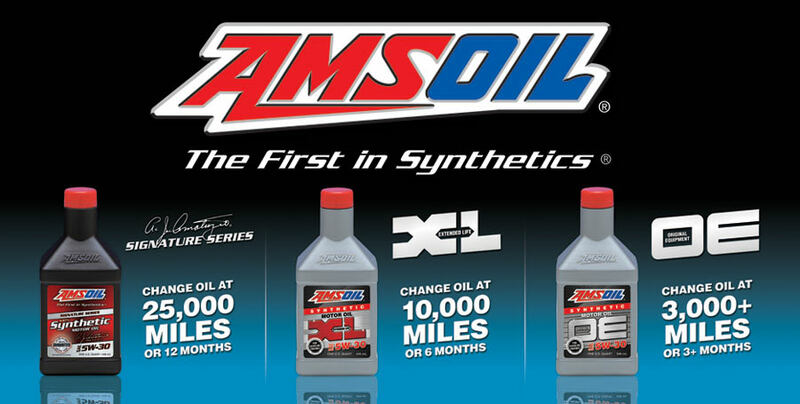 It goes fast – and it saves more gas. The Prius is still much more efficient than other economy cars, but as word gets out about the Ioniq…. Which brings up a point of noticeable difference between the Prius and the Ioniq. 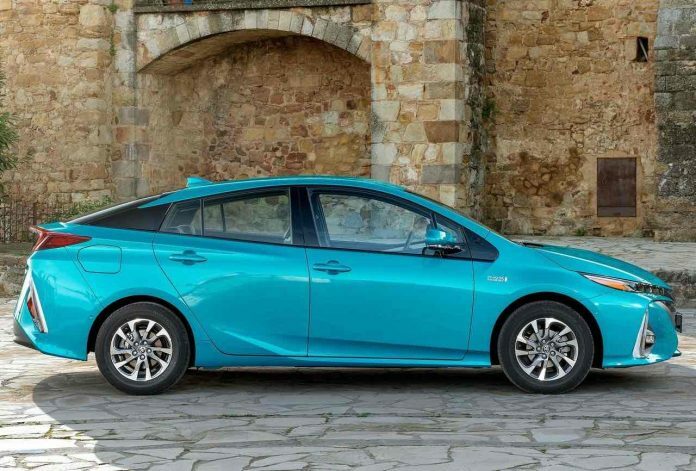 The Prius has a much more aggressive regenerative braking feature – and that’s a good thing. The idea – as per above – is to use the latent energy of speed already achieved to make electricity for free . . . kind of. It’s not actually free; you’ve already paid for the gas – or electricity – used to get the car up to speed. 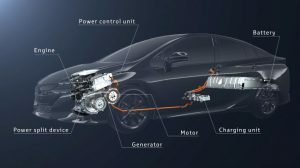 But instead of losing it bringing the car’s speed back down – as heat (during deceleration, via the friction of braking) the Prius – and other hybrids – use the brakes to generate electricity, feeding the power back to the batteries. 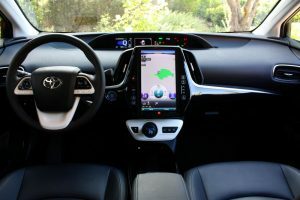 And the Prius has an additional, driver-selectable “B” range on is toggle-style shifter; this engages the regenerative braking and kicks it up a notch over what you’ll find in other hybrids, including the Ioniq – which has a Sport setting instead of a regenerative braking setting. The Hyundai does have regenerative braking, too – but it’s not as hard-core hybrid as the Toyota’s setting – which you can really feel when it’s engaged. Take your foot off the gas and the Prius noticeably slows; when B mode is selected on downhills, it’s almost not necessary to touch the brake pedal at all. 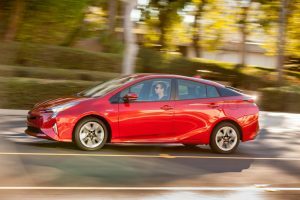 This may give the Prius a real-world efficiency advantage, depending on where you drive – and how you drive. If you drive in an area where there are lots of downhills – and drive so as to make the most of them – you should be able to beat the EPA’s mileage ratings. According to the car’s computer, I averaged 54.6 MPG during a weeklong test drive. This is about as good as the mileage I got out of the Ioniq hybrid I test drove about a month ago (reviewed here, if you’re interested in a cross-reference). 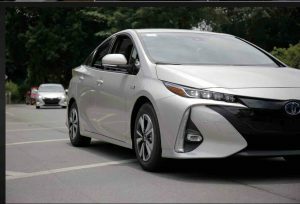 When Toyota restyled the Prius in 2016, it gave the car an almost angry look – a theme in keeping with the current stying trend toward aggressive-looking everything. The current Prius has a face like a kabuki samurai – but where is the gumption to back that up? The previous (2015 and earlier) Prius was clunky-looking compared with the current slick-roofed model – but it was a lot more practical. It was almost an inch taller (58.7 inches vs. 58.1 for the current model) and its boxier shape endowed it with 39.6 inches of cargo capacity – comparable to many small crossover SUVs – vs. 24.6 cubic feet for the current model, which is still more than a compact sedan but not nearly as much as you used to get. 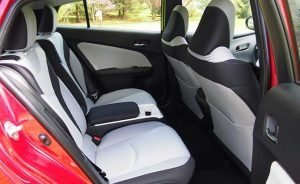 The Hyundai Ioniq – which is similarly sleek – hasn’t got much more cargo room (26.5 cubic feet) but it has much more backseat legroom – 35.7 inches vs. 33.4 inches for the current Prius. That makes it more practical than the current Prius. Interestingly, the previous (2015 and older) Prius had 36 inches of backseat legroom. But the current Prius still has one thing over the Ioniq. Even though it’s not as fuel-sippy, it still looks more obviously hybridy – especially from the inside. 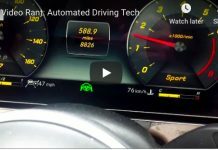 There’s the unusual toggle-style shifter already mentioned – as well as the obviously different looking and very hybridy dash layout – defined by its centerlined main gauge cluster and the available oversized rectangular LCD touchscreen, which was clearly designed to emulate the Tesla3’s touchscreen. 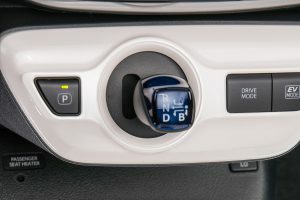 It also makes hybridy noises – or at least, noises different than in other (non-hybrid) cars, such as the little chime that comes on when you back it up. The Ioniq is very much the opposite. It looks (and sounds) so normal and non-hybrid that your passengers probably won’t notice it is a hybrid, unless you point it out to them. This is a plus – or a minus – depending on what you’re after. Do you prefer to save gas and not make an issue of driving a hybrid? 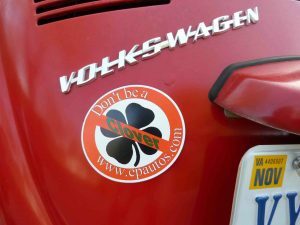 Or do you prefer to let everyone know you’re driving a Prius – the apotheosis of hybridness? 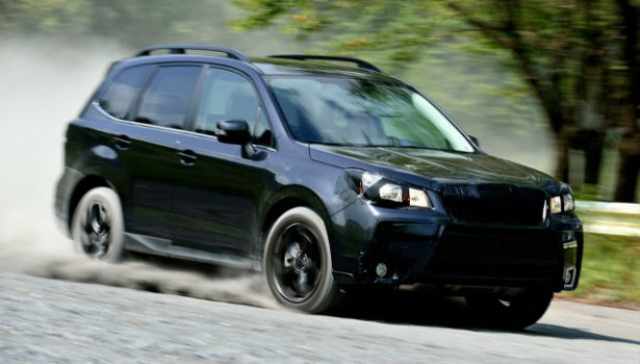 Both the base One and the next-up Two trim come standard with lower-rolling resistance 15-inch wheels and tires. 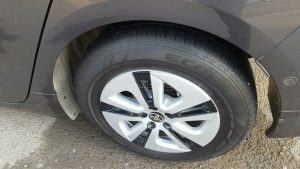 Be advised that if you move up to a Three or a Four, you’ll jump two wheel and tires sizes, to 17 inchers – which have a higher rolling resistance and will cost you a couple of MPGs, enough to be noticeable. These 17 inchers also have thinner sidewall tires that have less give, which roughens up the ride. The One and Two versions are noticeably softer-riding and there’s no real upside to upsizing except the look of bigger rims, if thats worth something to you. Both the Prius and the Ioniq are low-enough-priced to make some plausible sense as money savers rather than gas savers. 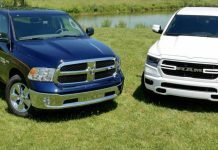 Many hybrids – especially the converted hybrids – cost so much that whatever they save on gas is an economic irrelevance. Triple that for plug-in hybrids, including the plug-in versions of both these cars – which sticker for close to $30k to start. Unless the cost of gas triples, it is doubtful you’ll ever make back what you spent on the car via what you didn’t spend on gas. Quintuple that for electric cars – most of which cost at least $35k and up to start. If you’re considering a Prius, you ought to also consider an Ioniq. Or wait a few months and see what Toyota fires back with in 2019. Or – go shopping for a 2018 Prius as soon as we get the Word about the 2019s. If there are major updates, the chances of getting a slamming deal on a 2018 are good and if you do get one, it’s well worth getting a new Prius for less than sticker vs. paying full MSRP and then some for the updated 2019 model. 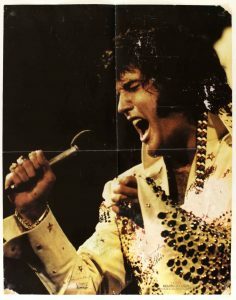 Previous article“Climate Denial Kills” . . .
Next articleLatest Reader Question: Ford Fiesta – Good or Bad? 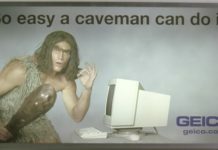 A friend had a 2nd gen Prius (the 1st gen was very anonymous and seldom noticed) and I have to say I was very impressed with the technology. However, Prius *owners* do not impress me. They are some of the most self-centered drivers on the road, always ready to inconvenience someone else by left-lane hogging, inattentiveness, and generally sluggish reaction speeds because they’re dreaming about all the good they’re doing for the planet. If the prius was designed from the ground up to be a dedicated hybrid car, is it just a coincidence then that it looks strikingly like the toyota matrix that came before? I think a comparison of these cars would make a good article. The matrix didn’t sell too well, but the prius seems to do great despite the fact it looks so similar. Seems to me people don’t actually like the aesthetics of the prius, but buy it anyway because they just want a “green” car that badly. They’re different cars. The Matrix is basically a modified Corolla. The Prius predates the Matrix, was designed years before the latter’s 2007 introduction. I think the Matrix didn’t do well because it didn’t fit a specific niche. It was kind of in between the Corolla and a small crossover like the RAV4. 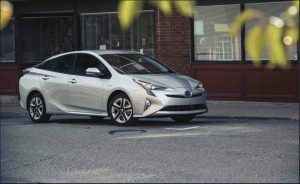 The Prius, of course, had its hybridness going for it – and because it was the first mass-produced hybrid, it developed a cult following which has sustained it to this day. That makes sense. Thanks Eric! Good article. 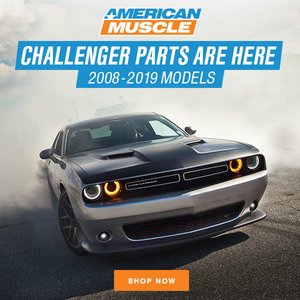 “the CVT transmission – which doesn’t shift up or down but uses pulleys to continuously vary the drive ratio”. No stone age pulleys for Toyota’s hybrid gear system, only electronic and electric changing of the gear ratios. Nothing to wear out, which is good, but also low efficiency, which is not quite good. 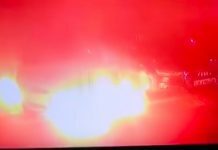 I like the Prius, but what I’d like more is a $15,000 non-hybrid that averaged 60 MPG… which we could have tomorrow were it not for the government and its obnoxious fatwas regarding saaaaaaaaaaaaaaaaaaaaaaaaaaaaaaaaaaaaaaaaaaaaaaaafety… which of course is none of the government’s proper business. Agreed, right now the best you can do is a manual transmission Mitsubishi Mirage. This is a great commuter car, as long as you don’t mind the bizarre angular styling. 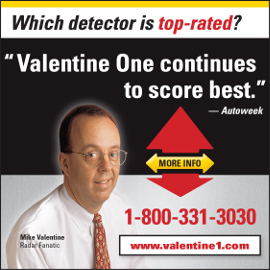 My friend has had two of these, in much earlier versions, because for many years driving one made you exempt from HOV lane rules here in Northern Virginia. Fortunately, that government preference has ended. 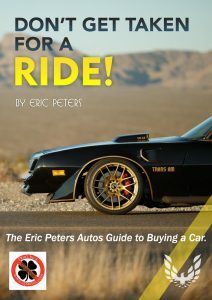 I have reluctantly ridden with him as a passenger a few times – he drives it like he stole it, yet still gets around 50 MPG. I believe I could get close to 60 MPG by just driving one the way I normally do, and get at least another 5% by driving carefully. I think his latest is a 2011 model. What struck me was how clunky and unrefined the controls and interior was – something that I noticed also in my Mom’s 2013 Camry. Agreed. The Prius – and the Ioniq – are as close to a diesel-powered commuter car’s economy you’ll find among today’s overweight gas-powered cars. They are also priced not unreasonably, which makes it feasible to actually save money. Hence, not absurd virtue signaling mobiles! The Hyundai does have regenerative braking, too – but it’s not as hard-core hybrid as the Toyota’s setting – which you can really feel when it’s engaged. Is the more aggressive regenerative braking system more expensive to manufacture? That is, is part of Hyundai’s price advantage because they didn’t go past the point of diminishing returns to get an MPG or two more in a car that barely uses any gas anyway? Hyundai took a very different path with the Ioniq, which doesn’t look or drive like a hybrid – while the Prius does. Part of that is less aggressive regenerative braking, which I assume is made up for (mileage-wise) via a more efficient motor/battery pack. Eric, How about the battery capacity and technology? Is it basically equal between the Prius and the Ioniq? If one has an advantage here, that could be a tie-breaker. The “Angry Samurai” styling is an improvement in my book. The previous generations’ styling did too much to advertise the Prius’ core demographic as being inside. They may as well just have put a blinking LED message board in the back window that scrolled “Self important aging douche inside!”. 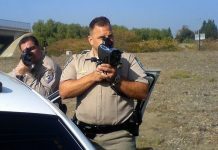 There’s a 3rd gen Prius here in town that Moonflower or whatever the hell his name is put a giant sticker reading “Speed Enforcement Vehicle” across the rear of and goes 15 mph below the posted limit just to terrorize the populace. Back to the 4th gen, we had one earlier this year due to a monumental rental car screw up, and it really wasn’t THAT bad of a car for what we were doing with it (mainly circling around downtown Wichita trying to find our hotel). I did see the value in it as a flatland city commuter, but I’d need to be heavily sedated to get on the interstate or a mountain road in one. I don’t really want to get out in front of a semi in a car that has all the throttle response of a golf cart with 2 dead cells.